Now, as the cold ache in his extremities crept toward his core, he saw not a grand adventure but only an uncomfortable setting, a stranger, and the ho potential for shyness and unease to descend into anxiety and panic. Anticipation brought cold sweat to the back of his neck. Why had he come? He could be safe in his sitting room with a cup of tear right now instead of standing on a cold street corner with a sense of dread settling into the pit of his stomach. Funny, said Peter, Connelly didn't mention anything about a Shakespeare lecture on campus. I'm not surprised, Kashimoto is an Oxfordian. So he's from England? said Peter. No, said Francis. An Oxfordian is someone who believes that Edward de Vere, the Earl of Oxford, wrote the works commonly attributed to Shakespeare of Stratford. I beg your pardon? said Peter. There's significant and legitimate questions about the authorship of Shakespeare's plays, Francis explained. They never taught us that in high school English, said Peter. Well, said Francis, the Oxfordians have had trouble making inroads in the academic establishment. Could Thomas and Julia have made it to London already? Peter had assumed that the sound he heard that morning had been the murderers making their escape, but what if Sykes had been killed late the night before, and Thomas and Julia had headed straight to London in search of the B.B manuscript? If all were well in London, wouldn't someone answer the phone at Liz's office? Should he call the police? If he did so, he would have to explain that Liz was in danger without revealing himself as the prime suspect in the Sykes murder. I finished this book yesterday afternoon and I am still speechless. It's a tale of intrigue, mystery and scandal. It's a telling of a beautiful romance. It's a bibliophile's dream. Peter Byerly just lost his wife Amanda and is devastated to say the least. He is a recluse who is in the process of avoiding phone calls from Amanda's parents and his/her friends. Then one day he decides to go out of the house and see if his once passion, for books is still there. Per his psychologist lists of things to do, he must get back into his life slowly but with zeal. He must start to live again. He must talk to strangers, rekindle his passions and call an old friend. While doing his best to begin, he happens upon an old book that catches his eye. Inside the book is a photograph that is remarkably similar to the characteristics and appearance of his late wife Amanda. He starts on an adventure that will take him to London, and back again. This story starts off in 1995 with Peter Byerly mourning his wife's death. The next chapter is 1985 when Peter just met Amanda Then the story takes us back to the 16th century. I just loved how the author seamlessly weaved together this magical tale. Jumping back and forth from one time to another, was a great way to write this novel. We were able to see who Peter Byerly is now, how he was when he first met Amanda and also the tradition and customs of the 16th century through the 19th century. The story captured the true tale of a bookseller's life. Perhaps I should put you in the play. A thief, a rogue, but a likeable man. A comic rogue, if you will. Not quite a clown--darker than a clown--and a schemer. A salesman. I would highly recommend this book to anyone who enjoys a good mystery and is a true bibliophile at heart! 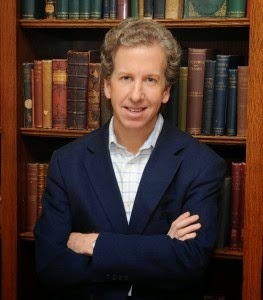 When I left the book business in the early 1990s, I continued to be a book collector, and now have a large (and growing) collection of rare (and not so rare) books and artifacts connected to Lewis Carroll and his world (my most recent major acquisition is Lewis Carroll’s own 1888 typewriter). I have written five books about Lewis Carroll and countless articles. I have served as the president of the Lewis Carroll Society of North America, and as editor of the London based Lewis Carroll Review. I have lectured on Lewis Carroll in the US and Europe at places such as the Smithsonian Institution, Harvard University, UCLA, and Oxford University. In 2001, my wife was hired to oversee the third grade drama program at Summit School in Winston-Salem, NC. Bemoaning the dearth of good material for elementary school performance, she asked if I would write a play. Thus began my career as a children’s playwright. In the ensuing years, as Writer-in-Residence at Summit, I have written plays for third graders and for eighth and ninth graders. Fourteen of my plays have been published, including my first, Twinderella, which won the Shubert Fendrich Playwriting Award, beating over 750 other entries. The plays have proved extremely popular and have been seen in over 3000 productions in all fifty states and more than 20 foreign countries. One of the great joys of being a playwright has been the chance to communicate with students who are performing in my shows, whether by e-mail or by visiting their schools. I have made many author visits to schools to see productions, talk with students, and hold master classes. Presently I’m working on two major projects—a book about Lewis Carroll’s religious life and First Impressions, the follow-up to my first novel, which will do for Jane Austen what The Bookman’s did for William Shakespeare. 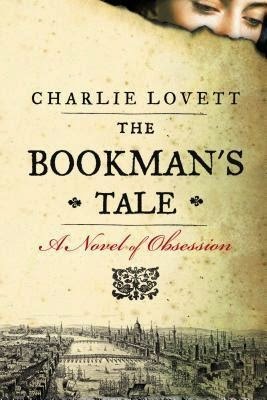 One winner will receive a paperback copy of The Bookman's Tale (US/CA only).